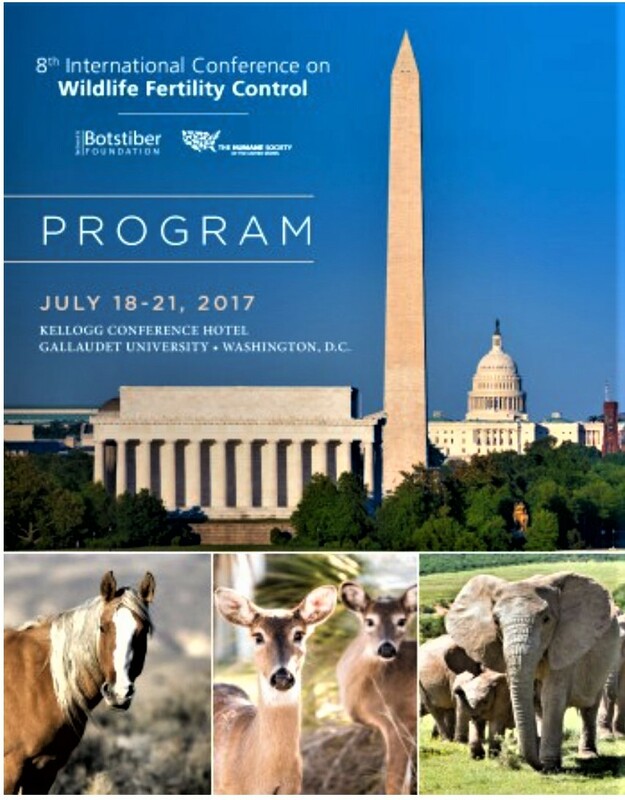 On July 18-21, 2017, the Botstiber Institute for Wildlife Fertility Control hosted the 8th International Conference on Wildlife Fertility Control in Washington, DC. The conference is a continuation of an international forum on research into the management of wildlife populations through contraception that began 30 years ago. The conference convened over one hundred attendees from twelve countries. Participants included scientists, veterinarians, managers, policy-makers and advocates in the field of wildlife fertility control. Presentations focused on the progress and challenges of fertility control in a variety of species including elephants, wild horses, deer, wild pigs, squirrels, commensal rodents and kangaroos. Abstracts and presentations from the conference can be viewed following the links below. Development and current status of African elephant (Loxodonta africana) immunocontraception using the PZP.